The results of a four-month gambling study indicate that iGaming could be a substantial revenue source for the Keystone State. 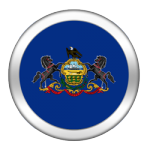 On Wednesday, a report detailing the prospective future of Pennsylvania’s gambling industry was released to the Pennsylvania Legislative Budget and Finance Committee. Originally authorized in December by PA’s lawmakers, a significant portion of the study was dedicated to predicting the amount of revenue that could potentially be extracted from a regulated iGaming market. Entitled “The Current Condition and Future Viability of Casino Gaming in Pennsylvania,” the full report can be found here. In short, the study revealed that Internet gambling could yield upwards of $300 million in annual revenue, and would nicely compliment, not cannibalize, PA’s burgeoning land-based casino industry. The first portion of the iGaming section detailed how Econsult Solutions – the company mandated to conduct the study – derived its estimate. Using a series of metrics, many of which measured pre-Black Friday online gambling activities in PA relative to the rest of the U.S., it was concluded that Pennsylvania’s Internet gamblers comprised approximately 3.6 percent of the nation’s total. Pennsylvania’s potential market was also compared to the existing one in New Jersey. Given the Garden State’s population, conglomerate of land-based casinos and proximity to PA, it was surmised that Pennsylvania’s iGaming market could reach similar heights to those projected in New Jersey. However, because Pennsylvania has a slightly larger population and its gaming operators would benefit from improved geo-location technology, it is conceivable that the Keystone State’s iGaming market would both reach its uppermost potential faster and outperform its neighbor. In March, New Jersey’s online gaming operations grossed $11.9 million – it’s highest total thus far. It is believed by some analysts that the state’s industry could generate upwards of $250 – $300 million in annual revenue within a few years’ time. Similarly, PA is projected to rake in $184 million in its first year, and $307 mm thereafter. It was also found that of the $307 million, $129 million, or over 42 percent, would be generated directly via online poker. The report reveals that not only would the cannibalization effect of iGaming on land-based casinos be small, but that Internet gaming may actually help PA’s b&m industry grow. There is a level of comfort associated with playing online, especially for poker players new to the game. And because online poker typically features significantly lower stakes than live, it can be assumed that some players will practice in the micro-arena before testing their skills on the green felt. It has already been proven in New Jersey that live casino dwellers and online players do not share similar demographics. According to the report, online gamblers are younger, more likely to be male, have a higher income, more education, and more likely to be employed . In an optimal scenario, the inclusion of iGaming gaming in Pennsylvania could result in a $92 million annual revenue increase for the state’s land-based casinos. Econsult based its tax predictions by assuming the state would take 20 percent of all online poker profits and 60 percent of the online casino take. These figures are significantly higher than those present in New Jersey and Nevada, and relatively on par with those enacted in Delaware. Opponents of a higher tax rate cite the presence of unregulated wagering sites – which pay little to nothing in taxes – as the primary reason why PA should consider a more conservative tax rate. Econsult recognized this, proposing that PA may want to tax operators at a lower rate at first, and scale upwards. Within hours of the report’s release, State Senator Kim Ward changed her stance on iGaming regulation from neutral to in-favor. According to Ward, iGaming will be one of three budgetary issues to be discussed during the current legislation session.